The acceleration greatly depends on what trim/model you are driving. The base model doesnt even make 200hp while the highest trim 30r-se makes 320hp and over 300lbs of torque. 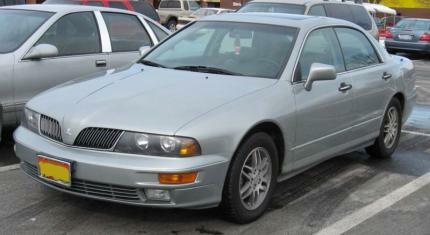 I have owned the 30r-se sedan and I have no doubt in my mind that the car can run low fourteens. It could run down just about any sedan of its day. ok i\'ve had enough of this little debate i know the accurate quarter mile time for the japan diamante since this guy says he owns one, the one i found online that was tested did 14.5 secs, not exactly low 14 seconds but i\'ll admit it is quicker than the 15 secs this site gave it credit for. a civic si does 14.9 secs in quarter mile a diamante an i mean the 270hp version not the american 210 weak one, is way quicker than it, so 14.1 isn\'t that hard to believe for me. I have the same car, with out mivec, and as for pic up time for it with out pushing the car is pretty slow due to the amount of revs and the case to get manuel is next to impossible. Was your test run on a 100% stock car with the original OEM tires? FL has no idea how valid your claim is without a reputable source. 14.1? thats a lil hard to believe, not Unbelieveble, just hard to believe.